Smoke Tree Ranch is one of the most historic properties in Palm Springs, California. Palm Springs is located in the southern part of California. This unique property is revered for simplicity, breathtaking natural surroundings, and excellent hospitality. Smoke Tree Ranch is situated throughout 375 acres of pristine desert and has been a retreat for some of the world’s foremost families. The training program is focused on food & beverage, but there will also be the opportunity to train at the front desk. The housing offered is free! Sanibel Island is an island just off the southwest coast of Florida by Fort Myers. Sanibel is known for its world famous shelling beaches. Sanibel’s population is around 5,600 people, however these numbers can quadruple during the winter when it is Sanibel’s tourist season. 60% of the island is a protected wildlife preserve. There are over 26 miles of bike trails and over 17 miles of beaches. Sanibel is near the city of Fort Meyers, which features historic buildings renovated to house art galleries, restaurants, and nightclubs, offering live music, festivals, and events for all tastes. 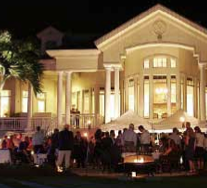 This is great opportunity to learn hospitality skills in a professional country club. The housing offered is free! 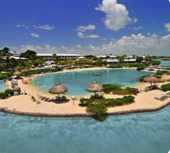 Hawks Cay is a four diamond resort located in the Florida Keys on the tropical 60-acre island of Duck Key. The resort offers some of the world’s best fishing; exciting water sports; dolphin interaction programs; a saltwater lagoon; five gorgeous swimming pools; and a variety of luxurious accommodations, including guest rooms, suites and villas. As a Hawks Cay intern, you’ll be surrounded by leading hospitality professionals from around the globe. You’ll gain invaluable career experience working with them and learning the skills required to achieve the high levels of excellence that have earned Hawks Cay AAA’s Four Diamond Rating, among other accolades. Advanced English a must! Cleveland Conference Center is situated on the campus of the prestigious Cleveland Clinic Foundation, less than two kilometers (one mile) from the University Circle cultural and arts district. 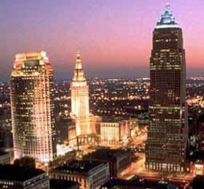 Legacy Village shopping and entertainment, the Rock and Roll Hall of Fame and Museum, Progressive Field and the Historic Warehouse District are all within easy reach. This is a great opportunity to apply your hospitality skills in a professional environment at a brand-name hotel. This is a great opportunity to train at a luxury hotel in Miami, Florida. Miami is located in a warm and tropical environment and is world renowned for its beaches, nightlife, and vibrant arts and culture. The hotel has recently expanding and features 1,504 elegant guest rooms and suites, world-class dining featuring three signature-named chef restaurants, eleven food and beverage outlets, chic nightclubs, over 150,000 square feet of meeting and pre-function space, expansive poolscape and a 40,000-sq-ft luxury spa. Park Hyatt Washington combines dynamic modernism with classic American style. The hotel is a top destination for high profile people in the exciting city of Washington D.C. The hotel is close to the popular Georgetown neighborhood which features great shopping and restaurants. Public transportation is easy and affordable in this city. This world-class hotel is modern yet comfortable. With a Tea Cellar offering rare and vintage tea selections, spa inspired bathrooms, and a celebrated restaurant—the Blue Duck Tavern—Park Hyatt Washington offers guests a truly unique experience. Park Hyatt is always looking for high energy, professional, positive, and talented people to join their team! Applicants interested in Park Hyatt need to have 6+ months of work experience at a high end hotel and advanced English skills. Because this is a world-class hotel, the Park Hyatt has very high standards and in addition to work experience and English level, candidates must possess a warm, enthusiastic, and positive attitude. Big Sky Resort is a popular ski destination in the western part of the U.S. It lies high in the mountain meadows surrounded by timberland, the Spanish Peaks Primitive Area and the Gallatin National Forest. Lone Mountain towers 11,166 feet over the resort area. Visitors to this area will experience outstanding recreation, lodging, and western hospitality. 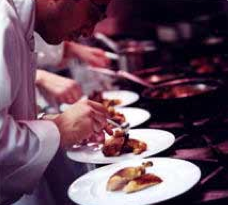 The resort features a variety of restaurants which create a great training opportunity for someone looking to develop and refine their culinary skills. As an intern at Big Sky, you are offered many benefits like: discount ski pass, discount meals, and discount on ski and snowboard rentals. Big Sky also offers dormitory style housing at the cost of $52.50 per week. November 2011 start date.